The last two posts in this series covered a lot of different hardware, but we really have yet to talk about one of the most confusing components of brewing great coffee…the coffee. Choosing your beans is a difficult proposition, and especially with higher prices in some of the more premium beans, it’s a big commitment without much guarantee that the little brown beans hiding in the bag will be worth your investment. There is no simple formula I can give you to assure that you will always get great beans you’ll enjoy. Some of it will be trial and error, but there are a few things you can look for to help you identify the good from the bad. In addition, you need to experiment with different types of coffees from different regions, blends versus single origins and degree of roast from super light to blackened ultra dark. After much, MUCH experimenting, I can tell you that I personally prefer coffees with a relatively light to medium light roast. I tend to like most African coffees and some Latin American coffees as well. I like blends for their consistency, but I prefer single origin coffees when I want to experiment with something new or really try to enjoy the uniqueness of a specific bean. The purpose of this post is NOT to “review” the following coffees so much as to explain them in terms of benefits and drawbacks. I will also give some coffee-buying tips using some of the features of these different coffees to help you better understand what to look for next time you’re faced with the dizzying array that is the coffee shelf at most stores. Above, there are five very different coffees. Three are small, micro-roasters while two are large national brands. Three are single origin coffees, two are blends. Four are whole bean, one is pre-ground. So, let’s go through these coffees one by one. To fairly compare them, I brewed each using a hand grinder (with the exception of the pre-ground) and a pour-over filter brewer. Again, I don’t plan to review the coffees, but by brewing each, I can comment on freshness and some basic flavor profiles. 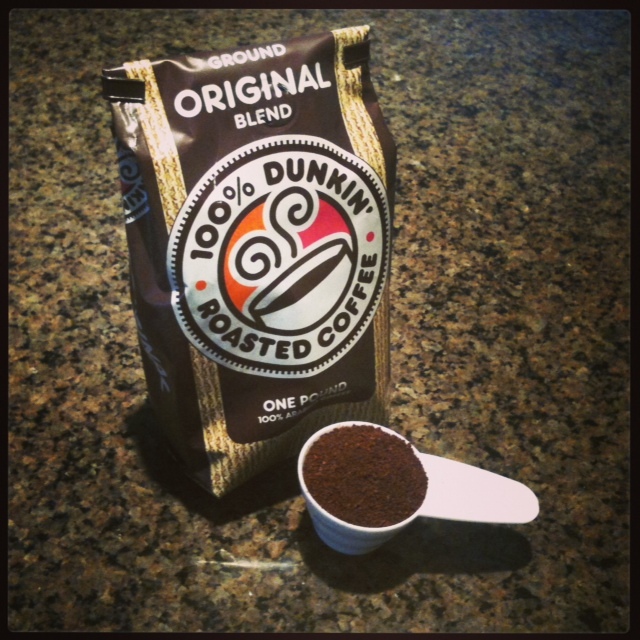 Up first is the Dunkin Donuts pre-ground original blend. This was essentially going to be the “conrol” coffee, but it is also my go-to “lazy” coffee. There are days that I just don’t feel like grinding fresh, but I still want coffee. Dunkin Donuts puts out a solid, consistent product with a nice balance of acidity and sweetness. It does not compare to a fresh ground micro-roasted coffee, but it’s a lot better than anything you get in a big plastic tub at the grocery store. An expiration date of 9/15/13 is printed on the bag, but there is no “roasted-on” date present. Next we’ll talk about the Trader Joes bag. I admit, I was drawn in by marketing here. The burlap bag looked cool, it was labeled a medium roast (a rarity since Trader Joes seems to like to blacken every coffee they sell to the point of barely tasting like coffee), and it was a single-origin bean. It wasn’t bad, and it was certainly drinkable, but it didn’t taste terribly fresh. For a medium roast, I think it was a little darker than I would have liked as there was more of a smoky flavor than is typical in a lighter roasted coffee. As you’ll see in the pictures, this “medium” roast is significantly darker than anything else in this post. 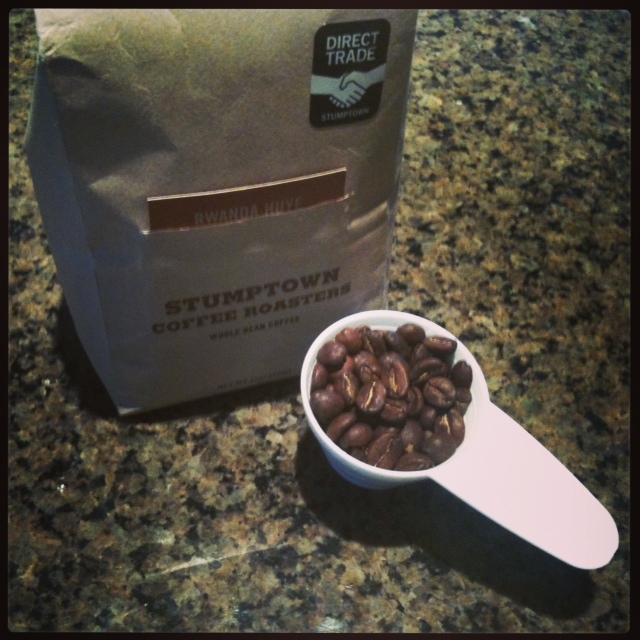 No coffee article can be complete without some type of mention of Stumptown. Read enough coffee blogs or talk to any coffee geeks, and they all will mention this roaster in some form. They are one of the original micro-roasters, and put out some very top notch coffees. 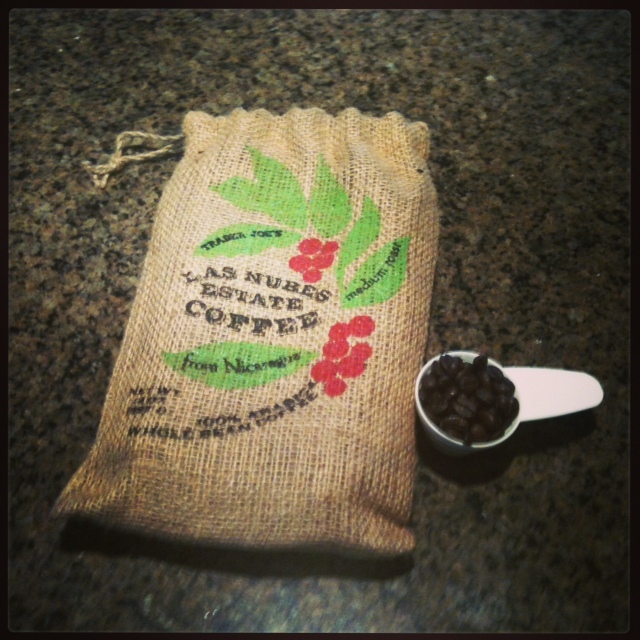 I chose a single origin coffee from Rwanda, one of my favorite coffee-growing regions. 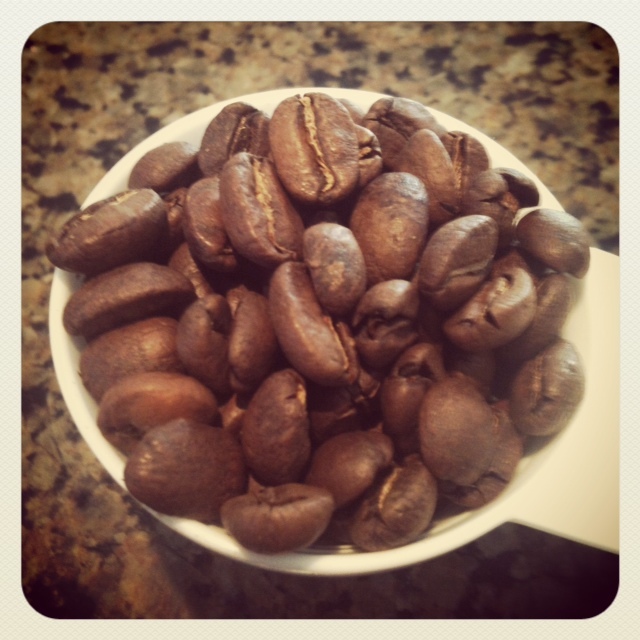 Coffees from Rwanda have a very nice citrus fruit body to them. The bright flavors are great in the morning, and they are also very refreshing, even thirst-quenching. 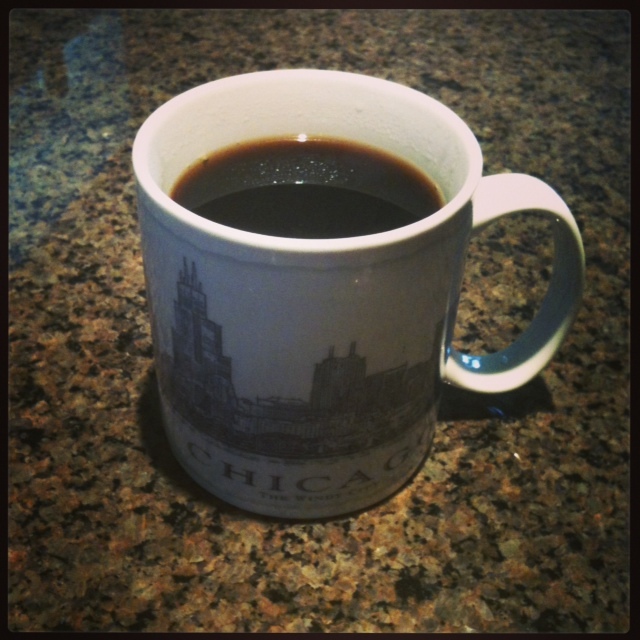 Next up we have some local Chicago roasters. 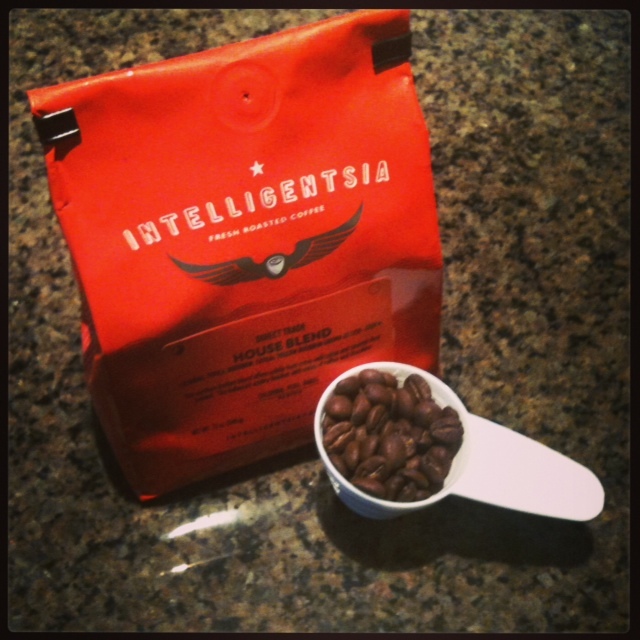 Up first is Intelligentsia, probably the best-known Chicago coffee roaster and one of my all-time favorites. While their coffees are available in many places throughout the country, the bulk of it is still roasted here in Chicago, and it is among the most widely available micro-roasted coffees in the area, even available occasionally in some big chain grocery stores. The coffee I have here is their house blend. I recommend trying the “house blend” or “original blend” or something similar when trying new roasters, especially while you are still learning about your coffee tastes. Roasters create these consistent blends and typically showcase their best beans, so this is an ideal way to see what the roaster is producing and get a feel for the type of flavors they like to create with their roasts. 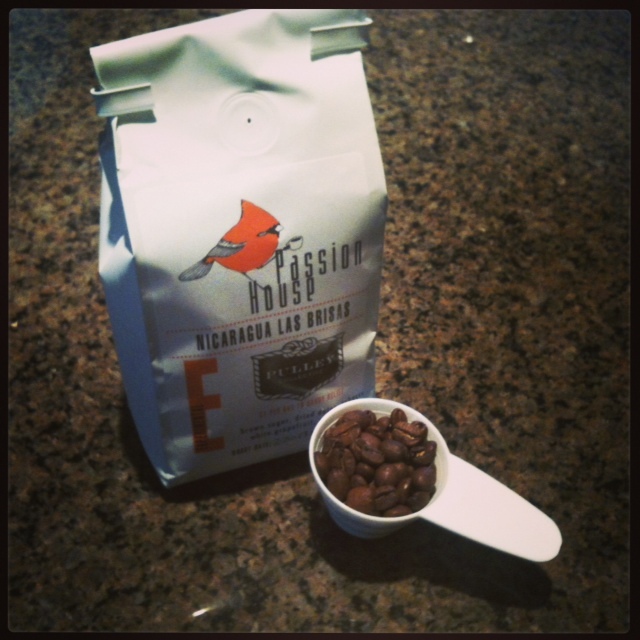 Another newer Chicago roaster that I am very excited about is Passion House. They have not been around as long as Intelligentsia, and their products are a little tougher to come by (although they do ship from their web site). This was actually my first experience with this roaster, and I chose a single origin Nicaraguan coffee. Of note, this roaster has three categories of coffees – Ambient, Mainstream and Experimental – which they describe on their web site. The bag I chose fell into the experimental category, which breaks my rule of trying the house blend first, but I was intrigued. And, it paid off. This was possibly the best cup of coffee I’d ever made. Very bright, acidic and citrusy – much more than any of the coffees above. This is a roaster I’m very excited about trying again. 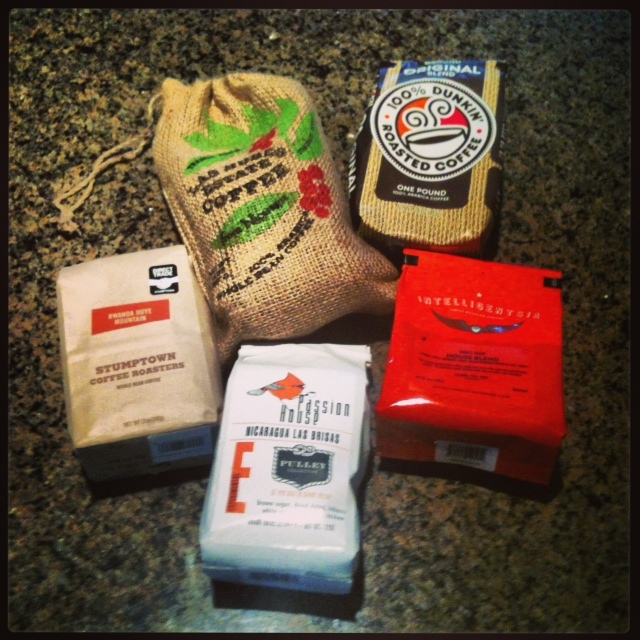 So, we just talked about a lot of different coffees. The most important thing to look for when you are choosing a new coffee is to know that there are no rules. If you enjoy it, then it’s good coffee. However, hopefully the following tips will help you find beans that you’ll love. If tasting notes are available, utilize them. Especially early on, they will help you identify the flavor profiles of different types of beans from different regions. Don’t worry about the words “100% Arabica Beans.” Pretty much everything you’ll find will be Arabica (as opposed to Robusta beans, which are used very rarely in the United States). This is meaningless marketing on the big brands, and generally isn’t even printed on the higher end coffees because they assume we know that. If you’re unsure about a new roaster, try a house blend or something similar to get a feel for the roaster’s style. The best way to try new coffees is to tour the roasting facilities. Many will have free samples of several different coffees they produce, and you will never have coffee fresher than buying it directly from the roaster. Lighter roasts are best when trying to pick out the more subtle, delicate flavors of coffees that are frequently lost in darker roasts. Lighter coffees will typically have brighter and fruitier flavors as opposed to the smoky flavors of the darker roasts. Caffeine content is higher in lighter roasts as the prolonged exposure to heat degrades the caffeine in darker roasts. So, there you have it. I could go on for much longer than this and still not scratch the surface of how to choose beans, but I hope this offered some help deciphering the wide array of choices out there. So go find yourself some beans, preferably something fresh and locally roasted, and Enjoy!